Why Automatic Car Washes Are Not a Good Choice. An automatic car wash will never have the gentle human touch, and sooner or later, you are bound to see some scratches that weren’t there before. The old, touch-bristles these car washes use to clean your car are rarely cleaned themselves. Because of this, these bristles have old guck stuck onto them, the residue of which is scratched into the sides of your innocent car. Even when they are clean, these bristles are sharp and do your car more damage than favours. 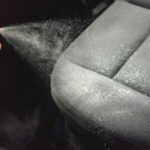 As if scratches and lack of proper cleaning aren’t enough to make you look away from automatic car washes, they also use dangerous chemicals that can leave some serious damage to your car’s paint job. Of course, we’re talking about the harsh chemicals that these car washes use to break the bond between the dirt and your car’s surface. The chemicals these automatic car washes use are rarely environmentally sound, often utilizing harsh acids that will undoubtedly strip away any protective coating on your vehicle. If scratches and dangerous chemicals haven’t frightened you, then high-pressure water systems probably won’t either. But they’re definitely not good for your car. Automatic car washes use high-pressure water sprays to clean away the chemicals they’ve slathered your vehicle in. And they can be definitely damaging. The problem presented by high pressure water systems is that they enforce water into areas where water really shouldn’t be going, occasionally damaging your car and its electrical components. After the completed washing process, your car will move to the dryer, which is also a danger to the surface of your car. The drying methods of most automatic car washes are ineffective and can overheat your vehicles exterior. The most effective way to dry your car is by hand. 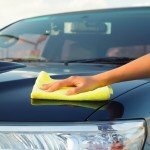 In fact, the most effective way to wash a car is by hand – something Wash Me Now does better than any other business out there. And that’s the good news. 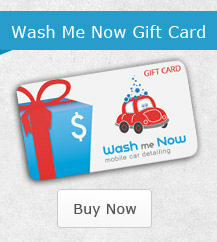 Wash Me Now treats your car with knowledge and respect, ensuring the finest detailing you’re likely to find. So leave the spooky-scary (and abrasive) automatic carwashes for good. They’re only a thing of the past and that’s the way we like it. 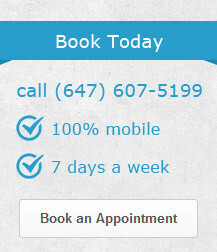 You can call Wash Me Now at any time to get our mobile car washing services directly to where you are. 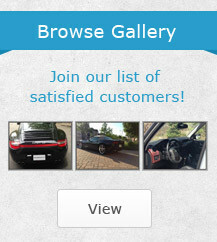 There’s nothing more effective than the Wash Me Now hand detailing services.